Oh no! Your house is flooded! Or you had a fire and, while you’re happy it got put out, your house got soaked from the firefighters’ hoses. Or a leak sprung from your water heater. There are all kinds of sudden floods and leaks that can strike without warning – or at least, certainly at inconvenient times. If your home is hit by water damage, you need the services of the most qualified water restoration company in the Rancho Cucamonga area. Rancho Cucamonga Carpet Cleaning will quickly bring things back to where they were, with as little interference to your regular life as possible. You can count on our experts to come to your home and dry down its structure and contents. Our specially trained technicians use the latest drying methods and tools to restore your home to normal and salvage your belongings. We use high-tech monitoring equipment to detect the presence of moisture, including the hidden moisture under the floor and behind your walls. We act quickly, to avoid the potential collection of mold, mildew, and other nasty microorganisms that can be caused by water damage. We use the latest tools and techniques, including high powered dehumidifiers and air movers, to ensure that your belongings take as little damage as possible. We realize that any time you need these kinds of services, you’re going through a terrible situation. We’ll treat you with the highest level of professionalism and respect, to help you resume your everyday life as soon as possible. We offer water extraction and removal; rapid drying of carpets, rugs, mats, floors, and walls; carpet, rug, and upholstery cleaning; dehumidifying; mildew treatment; garbage removal and disposal; deodorizing and disinfecting; mold, mildew, and bacteria sanitation; and so much more! We can get you back on your feet as soon as possible. You can count on our experts to come to your home and give it the full benefit of our expertise. Water and fire damage are two of the most difficult issues to rectify in a home. The damage must be treated quickly and thoroughly to prevent growth of mold or further damage. The professionals at Rancho Cucamonga Carpet Cleaning will make sure that you get back on your feet as soon as possible, and your furniture is restored to its best possible condition. 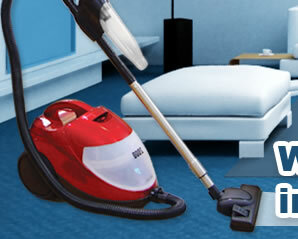 Rancho Cucamonga Carpet Cleaning stands by ready, because we know that water and flood damage requires swift action. You’re not always available or capable of making a quick response, but we are – we’re standing by, and will come to your side quickly. The quicker we’re able to respond, the more damage we will be able to prevent or repair. The next time you find your pipes leaking, or suffer from fire or flood damage, don’t fret. 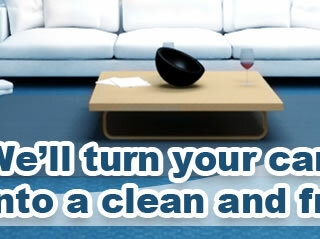 Call the professionals here at Rancho Cucamonga Carpet Cleaning. We’re your best choice in the Rancho Cucamonga, California region for fire or water repair. Give us a call, and we’ll give you the benefit of our expertise. We’re always standing by, waiting to help you. You’ll be amazed at just how much damage can be repaired when you trust the friendly professionals at Rancho Cucamonga Carpet Cleaning.